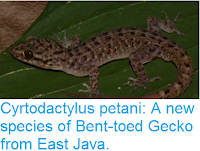 Sciency Thoughts: Homonota marthae: A new cryptic species of Marked Gecko from northern Paraguay. 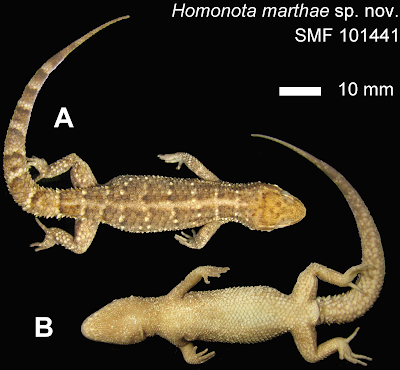 Homonota marthae: A new cryptic species of Marked Gecko from northern Paraguay. 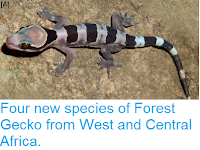 Marked Geckos of the genus Homonota are found across much of Central and South America, as well as on some Caribbean islands. 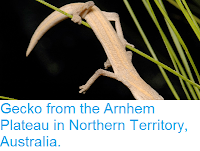 These Lizards are generally nocturnal in nature, and favour dry rocky environments. There are currently twelve described species, though these are very similar in appearance, and the distributions of several species is poorly understood, so the group is likely to contain cryptic species (species which cannot be told apart easily by physical examination, but which are distinct genetically). In a paper published in the journal Zoosystematics and Evolution on 28 February 2018, Pier Cacciali of the Senckenberg Forschungsinstitut und Naturmuseum, the Institute for Ecology, Evolution & Diversity at Johann Wolfgang Goethe-University, and the Instituto de Investigación Biológica del Paraguay, Mariana Morando and Luciano Avila of the Grupo de Herpetología Patagónica, and Gunther Köhler, also of the Senckenberg Forschungsinstitut und Naturmuseum, and the Institute for Ecology, Evolution & Diversity at Johann Wolfgang Goethe-University, describe a new species of Homonota from northern Paraguay. 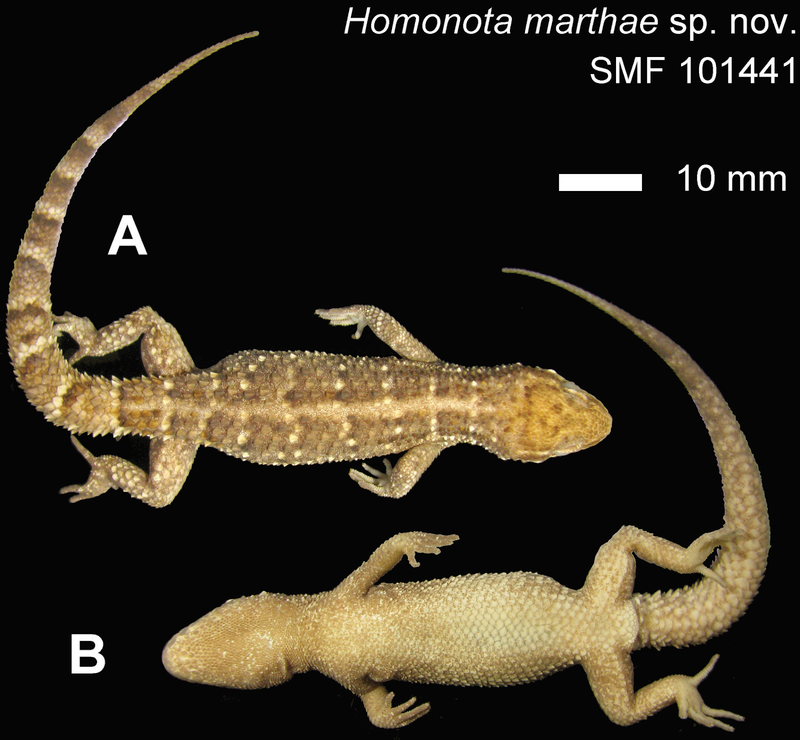 The new species is named Homonota marthae, in honour of herpetologist Martha Motte of the Museo Nacional de Historia Natural del Paraguay. Homonota marthae closely resembles the previously described species Homonota septentrionalis, lacking only a white band above the eyes in adults (this is present in juveniles of both species and adults of Homonota septentrionalis); the two Geckos live alongside one another, and had been presumed to be colour variants of the same species, but were shown by genetic analysis to be distinct. Dorsal (A) and ventral (B) views of a female specimen of Homonota marthae. Cacciali et al (2018). 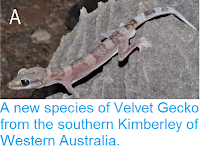 Adults of this species reach 36-59 mm in length, excluding the tail, and are sandy brown in colour with darker bands on their back and a line of keeled scales along their spine. The species lives in Dry Chaco Woodland (thornscrub) in the Department of Boquerón. 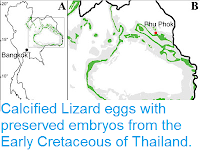 It is apparently unbothered by Human disturbance of this environment, and will live in human dwellings quite happily, for which reason it is not considered to be endangered. Follow Sciency Thoughts on Facebook. Studied Palaeobiology & Evolution at the University of Portsmouth, Geosciences via the Open University & Ecology and Conservation at Christchurch University, Canterbury. Have worked in wildlife based tourism, mineral exploration, development, conservation, education & environmental chemistry. Occasionally write articles for papers and magazines. Choking on Fish is a significant cause of death for Dolphins in Indian River Lagoon, Florida. Aenigmatoconcha clivicola: A new species of Helicarionid Land Snail from northeastern Thailand. Fireball meteor over northern England. Dolichothele mottai & Dolichothele camargorum: Two new species of Tarantula from Brazil and Bolivia. Magnitude 7.1 Earthquake in Puebla State, Mexico, kills at least 225 people. A new species of Oil Bee from northeast Brazil. Eruptions on Mount Fuego, Guatemala. Underground fire kills six at South African copper mine. Evidence of large Tyranosauroid Dinosaurs living on the East Coast of North America shortly before the End Cretaceous Extinction. Evarcha dena: A new species of Jumping Spider from the Zagros Mountains of southwest Iran. Hagfish from the Late Cretaceous Hâdjula Lagerstätte of Lebanon. Small Theropod tracks preserved in exquisite detail from the Early Cretaceous of South Korea. Lophorrhinides muellerae: A new species of Flower Chafer from Tanzania. Fireball meteor over New Jersey. Neolepas marisindica: A new species of Goose Barnacle from hydrothermal vents in the Indian Ocean. Mulleroconis hyalina & Palaeoconis azari: Two new species of Dustywings from Cretaceous Burmese Amber. Asteroid 2019 GT19 passes the Earth. Asteroid 2018 HV passes the Earth. Landslide kills four in Murang'a County, Kenya. Asteroid 2018 HC1 passes the Earth. Arsonists target Libyan oil pipeline. Asteroid 2018 HM passes the Earth. Woman attacked by Leopard in Rajasthan, India. Magnitude 4.7 Earthquake beneath western Antigua. Asteroid 2018 GE3 passes the Earth. Eruption on Io Yama volcano, Japan. German tourist attacked by Leopard in Namibia. Indonesian man killed by Crocodile. Asteroid 2018 GN passes the Earth. Edinburgh schoolboy attacked by Shark in Bahamas. Eleven Lions poisoned in Ugandan National Park. Oklahoma man killed by wildfire. Tornado injures four in Mountainburg, Arkansas. Asteroid 2018 GU1 passes the Earth. French beach invaded by By-the-wind-sailors. Sinkhole traps car in Hobart, Indiana. Avalanche kills skier near Aspen, Colorado. Asteroid 2018 EB passes the Earth. England and Wales hit by Measles epidemic. Sinkhole swallows man in Cẩm Phả City, Vietnam. Asteroid 2018 FK5 passes the Earth. Magnitude 2.7 Earthquake in Surrey, England. Georgia mine accident kills six. Ongoing eruptions on Mount Shinmoedake, Japan. Asteroid 2006 UF17 passes the Earth. Balochistan miners die of gas poisoning. Volcanic activity on Réunion Island. Norwegian man dies in Swedish avalanche. Asteroid 2017 FZ3 passes the Earth. Explosion at Pakistan coal mine kills four. Poaching in the Kakum Conservation Area of Ghana. This Blog would be impossible without the work of countless scientists (and others) throughout the world. Where possible I do my best to credit them, but there will always be many more who remain unmentioned; this does not imply I am ungrateful for their contributions. Any errors or inaccuracies are, of course, my own.